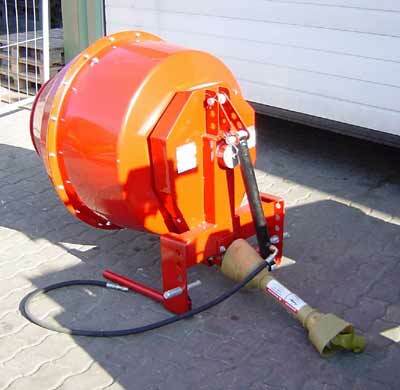 The tilting of the cement or mortar mixer and is hydraulically and driven by a chain. The rotation axes are with ball bearings, i.e. the own weight of the mixer tilts it down. Operating the hydraulic cylinder, the mixer is pulled back into the operating position. 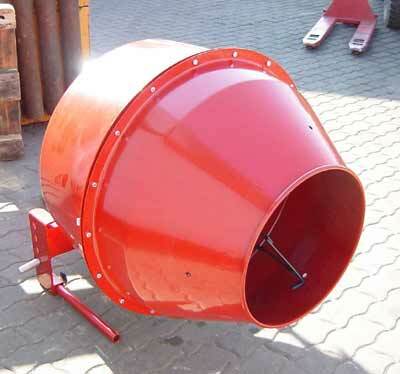 The mixing container has a 2.13 mm thick steel wall without any welds. 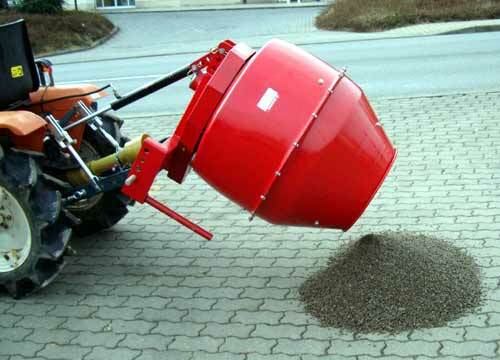 By the solid screw connections it is possible to disassemble the mixing container at any time and store it to save space. 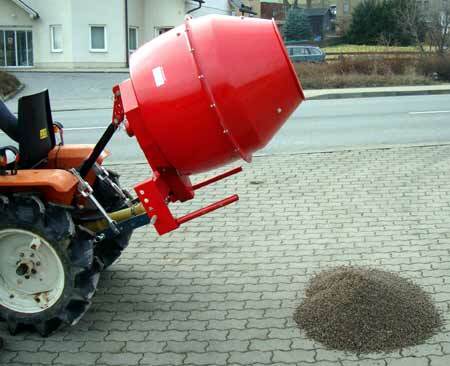 The frame of the PTO shaft mixer is designed to fit on all standard tractors. The loading and unloading of the mixer is eased by the large opening at the top and through the easy-to-use hydraulic cylinder. 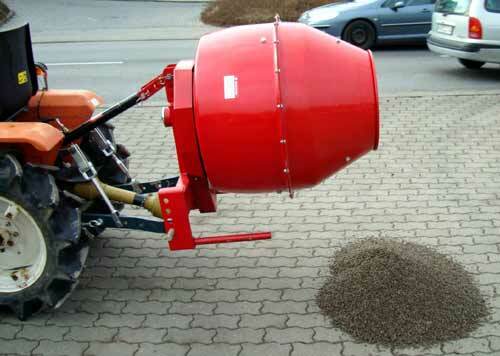 With this mixer, you can prepare and mix: concrete, feed, disinfect grain, wash crops or dry fruits, etc.